Product code: ES6376 Categories: Sold Items, Sold Jewellery. We all would love to think how romantic the Georgian and Victorian eras were thanks to poets such as Browning and Tennyson and authors such as Jane Austen and Charles Dickens who penned Pride and Prejudice and Great Expectations respectively, however the truth was as romantic as these eras were in some parts, in others ways, these times stank. Literally. 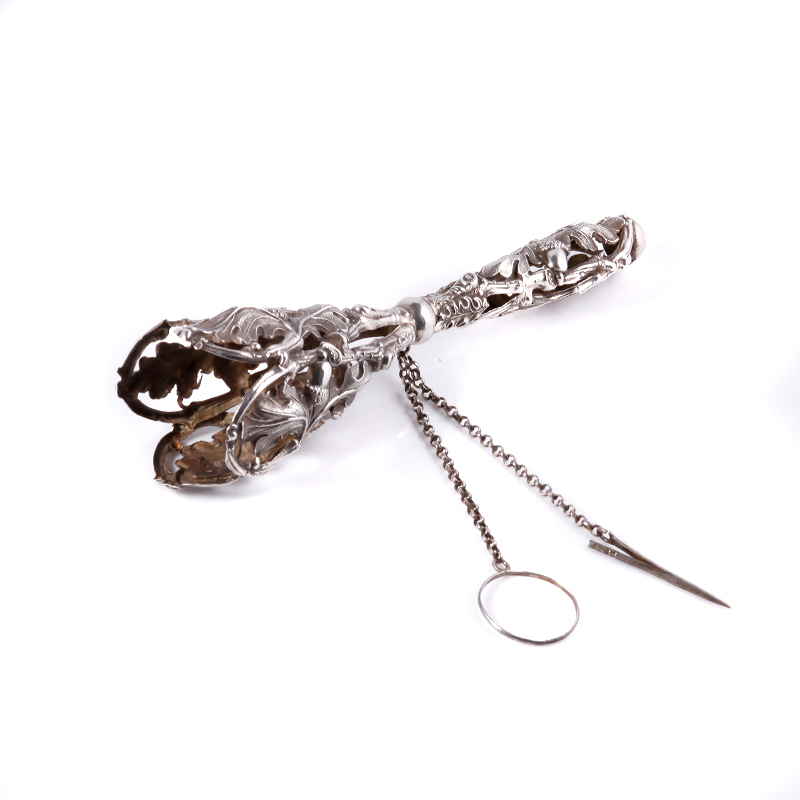 And to overcome the terrible smells of the Victorian era, many women used a posy holder such as this one here to hold of course flowers that they could keep close to them to smell much nicer smells than of course the alternative. 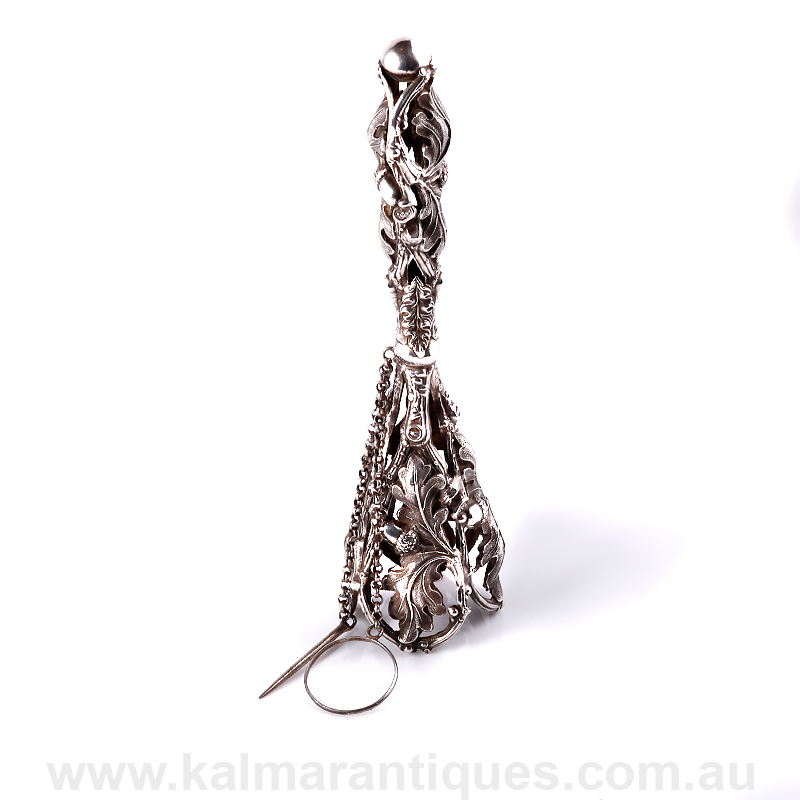 This antique posy holder dates from the 1870’s and is so beautifully crafted and designed that will captivate you with the intricate detail. 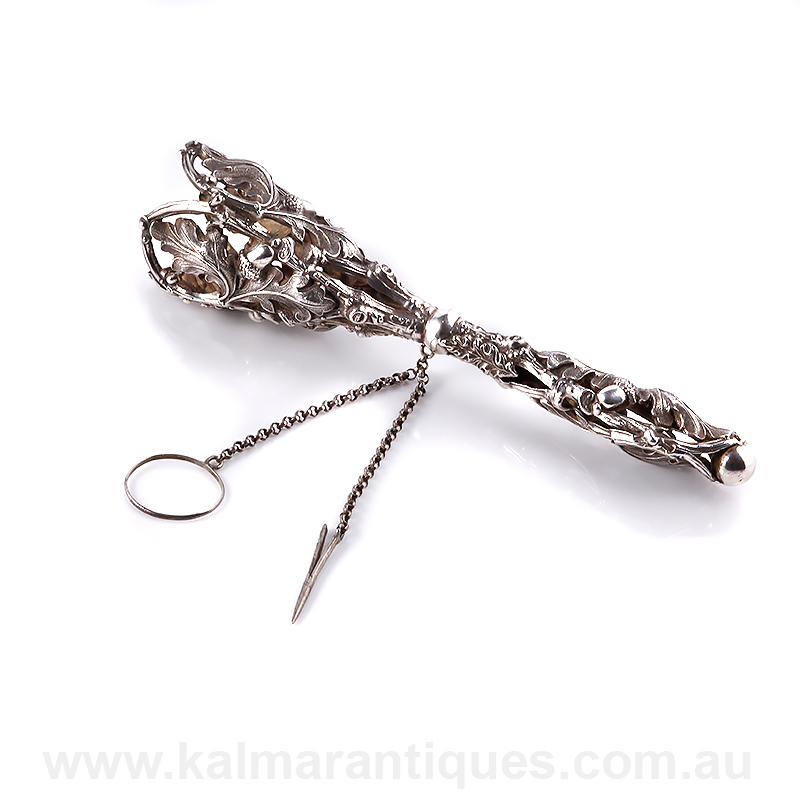 Measuring 14cm in length, it has the finger holder and a pin section to secure the flowers inside and this really is a wonderful window into the past of the Victorian era, and a part of life that is rarely if ever talked about or seen in period films and movies. All of this adds up to why there is such a love and fascination with antiques and why we just love dealing in them on a daily basis.